All are aware of using YouTube for promotions with the source of videos. But most of YouTube channels are not having a global reputation. Then what will be the reason behind it? That is a lack of utilizing the social media for making promotions. 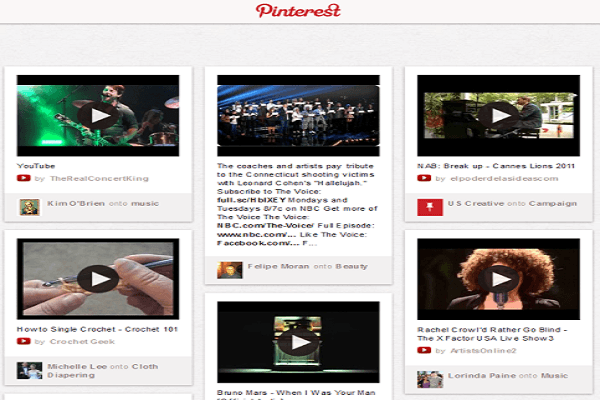 Once think about promoting YouTube Videos on Pinterest? Is there any key to lock that major problem? Yes, it is nothing but the use of Pinterest which is the most popular social media site that has been used by the millions of users, especially for advertising purpose. 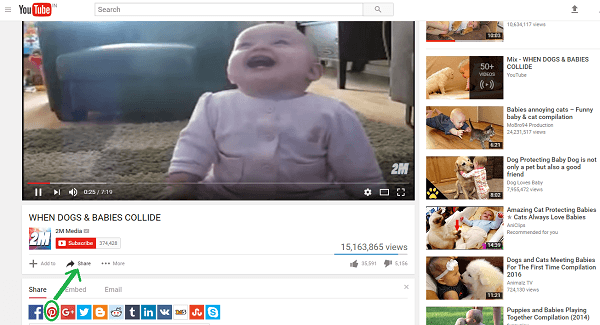 What Is YouTube Videos on Pinterest? How to Use Pinterest for Video Marketing? Pinterest is the social media site through which we can share the data either in the form of video or image by pinning those posts in the own boards or from others board. This is the most creative world where we can find the huge number of innovative things like products, services or tools all at same place. 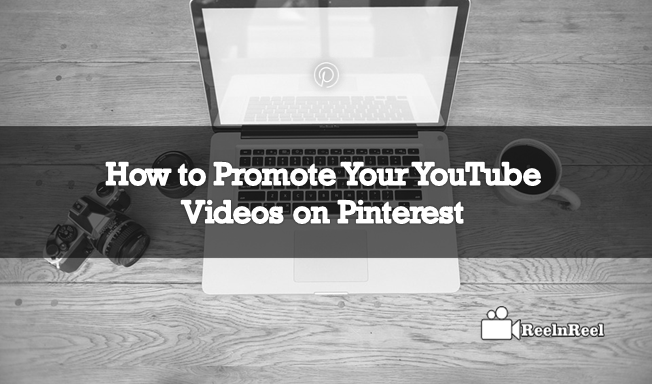 The YouTube channel can be promoted on Pinterest by pinning videos on it. When you decided to pin those videos, then concentrate on a thumbnail, board titles, and duration of the videos which plays a specific role in attracting the audience. Mention the most searchable keywords which bring the high traffic. Just keep creating different boards on the Pinterest profile because these boards will be used to save the stored videos at one place. Then any user can easily identify your videos that what you have mentioned. While creating boards then you should indicate each in a specific category like travel, movies, music, sports, trends and entertainment etc. YouTube Videos on Pinterest is helpful for users to find the required content by looking at the name of the category without wasting time to search all the data. You must consider the highly qualified description for Pinterest boards which clutch the audience to watch your videos at the single glance. When you upload new videos into your YouTube channel then immediately create the pins for those videos to place in Pinterest profile. Then this could be the best advantage to get the much engagement for the channel. But note that it should be done consistently otherwise the audience might drop to watch your videos. When you pin the video from YouTube to Pinterest then assign as many hashtags you can. This can explore your videos at any search result of the keyword. If the user intended keyword matched with any of your videos then leads to watching. Before pinning videos at the Pinterest profile just follow the other popular YouTubers and try to share their pins. At the same time making comments on those pins to engage your boards. When you are pinning the videos on Pinterest then the visual representations of those pins must eye-catch at a single visit of the audience which is nothing but the design of the thumbnail. If you desired to have the huge traffic audience to your channel then you must follow the relevant boards and pins of others. Pinterest can hold the concentration of their followers to be as your followers. While you are pinning your videos just make assumptions like at which time the most of the audience are surfing the web. Don’t pin at the dead days and timings like weekends when everyone is on entertainment moment. By using a Pinterest business account you can advertise on it and prefer campaigns according to the device either mobile or personal computer that it best fits. Consider Ads manager to insert the best keywords for the campaigns you launch. This type of publishing will elaborate the success rate of your channel. Pinning from the YouTube might be useful to raise the linkability, that means that will leads directly to your YouTube channel perhaps the traffic for the channel can increase. These are best strategies to promote YouTube videos on Pinterest which can best suits to generate the rush of the audience at your YouTube channel continuously. If you are unaware of this just go on implementing it immediately. How to Grow Your Video Business on a $0 Marketing Budget?